This undated photo provided by I-DEV international shows Jason Spindler in Nairobi, Kenya. DEV International confirmed that Spindler, the company's co-founder and managing director, was killed Tuesday, when gunmen staged a deadly attack on a luxury hotel and shopping complex in Nairobi. An American who was among 21 people killed in a terrorist attack in Kenya graduated from a Maine high school. 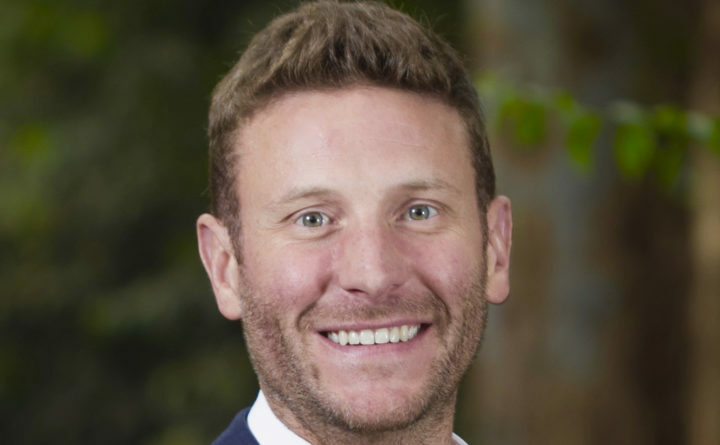 Jason Spindler, 40, died Tuesday after five gunmen stormed a luxury hotel in Nairobi, setting off a 19-hour siege that ended after security forces killed the attackers, according to The Washington Post and BBC. Spindler was co-founder and managing director of San Francisco-based I-DEV International, The Associated Press reported Wednesday. Spindler’s father, Joseph, said his son worked with international companies to form business partnerships in Kenya that would boost local economies, according to the AP. The Houston-raised Spindler had a brush with tragedy on 9/11, the AP reported: He was employed by a financial firm at the World Trade Center at the time of the 2001 terrorist attack but was running late that morning and was emerging from the subway when the first tower fell, according to his father. He became covered in dust and debris as he tried to help others, the elder Spindler said. Spindler attended Hebron Academy, a private high school in Oxford County, where he graduated in 1996, according to the school. “We are saddened to announce that Jason Spindler, Hebron class of 1996, was among those killed in yesterday’s terror attacks in Kenya. … Jason will always be remembered at Hebron as a true friend by all with whom he crossed paths,” the school said in a statement on its Facebook page. Spindler was captain of the swim team his junior and senior years, a member of the Diversity Committee and active in Green Key and the Outing Club, according to Hebron Academy. His brother Jonathan also attended Hebron Academy, graduating in 2002, according to the school. The flag at the school will fly at half staff in Spindler’s memory. After graduating from Hebron Academy, Spindler went on to earn a bachelor’s degree from the University of Texas at Austin and a law degree from New York University, according to The Washington Post. Spindler also served in the Peace Corps in Peru, the Post reported. Al-Shabab, a militant group based in Somalia and allied with the terrorist organization al-Qaida, claimed responsibility for the attack, saying it was in response to President Donald Trump’s decision in 2017 to move the U.S. Embassy in Israel to Jerusalem, according to the BBC.